Musli Pak is one of the best herbal medicines for improving debility and sexual weakness. 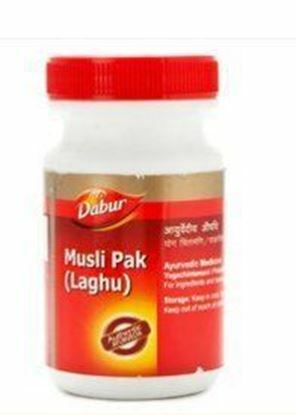 It is generally used for males but females can also take Musli Pak in extreme weakness. Properties Weight149 (gms) Dimensions5.1 (cm) x 5.1 (cm) x 10.5 (cm) Terms and Conditions We have assumed that you have consulted a physician before purchasing this medicine and are not self medicating. 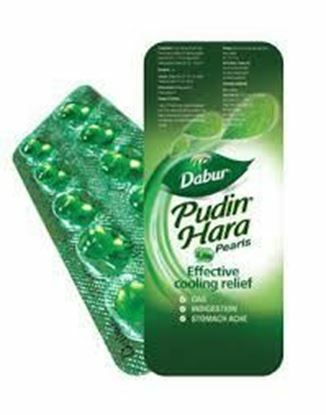 Pudin Hara is proprietary Ayurvedic medicine from Dabur and is used to treat stomach disorder. It is available in pill and liquid form. 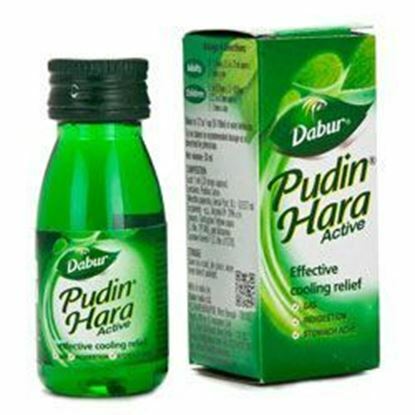 Pudin hara is prepared from the oil of Mentha piperita and Mentha spicata. Peppermint or Mentha Piperita is traditionally used for digestive problems including heartburn, nausea, vomiting, morning sickness, irritable bowel syndrome (IBS), cramps of the upper gastrointestinal (GI) tract and bile ducts, upset stomach, diarrhea, bacterial overgrowth of the small intestine, and gas. Mentha spicata or Pudina is also known as Spearmint. Pudina is carminative, anti-inflammatory and antispasmodic. It expels gas and gives relief in digestive disorders such as indigestion, heartburn, IBS, and stomach ache. Properties Weight153 (gms) Dimensions5.5 (cm) x 5.5 (cm) x 9.5 (cm) Dabur Shilajit Dabur Shilajit is a unique combination of Shilajit and other important herbs like Ashwagandha , Kaunch Beej and Safed Musali. Shilajit Gold is good for general health and helps increase strength, stamina and vigor. 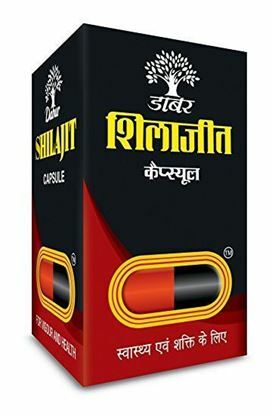 Indications • General weakness• Decreased energy & vigour Benefits of some of the ingredients: Shilajit: • Brings about balanced and harmonious health.• It acts as a restorative tonic, helps in recovery of wear and tear of body tissues, helps to improve strength, stamina, vigour & power. Terms and Conditions We have assumed that you have consulted a physician before purchasing this medicine and are not self medicating. Mahanarayan Oil (also called Mahanarayana Thailam) is ayurvedic medicated oil prepared using sesame oil as a base and processed in several medicinal herbs that improves strength of the muscles, bones and joints. It has soothing effect and reduces joint inflammation. 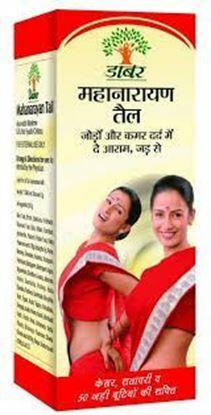 It is effective remedy for all types of arthritic disorders especially for osteoarthritis. Its internal use gives instant relief from the knee pain. Its external use reduces joint inflammation and muscle fatigue. The analgesic effect of this oil is not instant when applied externally. For instant pain relief, it is advised to take orally. Its oral intake has potent action against osteoarthritis and many people get relief from severe knee pain within a first of week of its regular use.